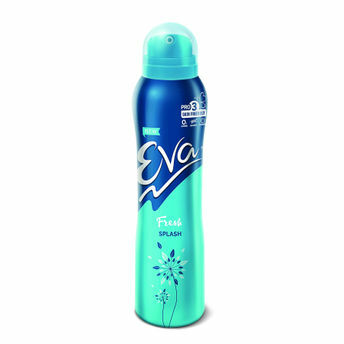 Grab Eva Fresh Deodorant to indulge in your day with sheer freshness and confident attitude. This alcohol free deodorant effectively works in balancing your skin's natural pH level. Enriched with moisturising formula it makes your skin smooth and soft. It prevents body odour and keeps you fresh for whole day. Invigorating fragrance wafts around you and lifts up your mood. Additional Information:Eva brand is part of TTK Healthcare and it consists personal care products like deodorant, skincare, talc. The products are developed after intense research to provide consumers with exceeding quality. Eva Fresh Deodorant keeps you active for whole day.